Yes, mine is an angled scope and I think I could do with some form of sight. I think that's a rare photo of a street lamp setting in the west. 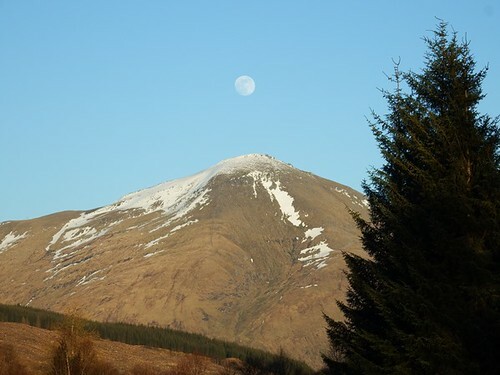 There was a lovely view of the moon in clear blue skies over Ben More and sunshine to the west yesterday afternoon. Sods law I did not have my camera. Moon and Jupiter yesterday evening - didn't see any colours in the cloud until I looked at image this morning. Lovely photos, Helen! It's supposed to be full tomorrow, but overcast- so we probably won't get to see it down here. 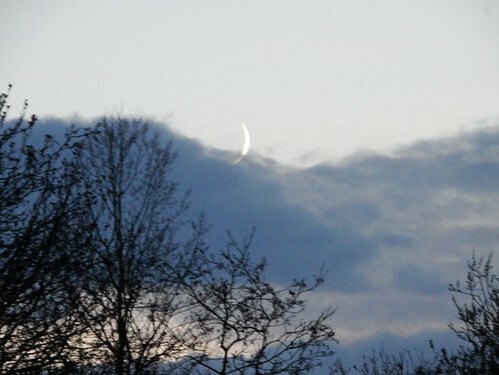 Managed to get nearly new moon, just as clouds rushed by. 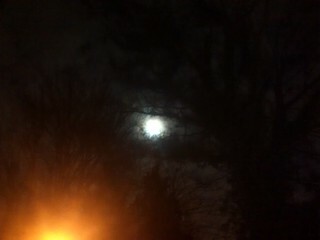 First good view of the moon for a while so couldn't resist a photo - even at 02:00 in the morning! It's just after full. 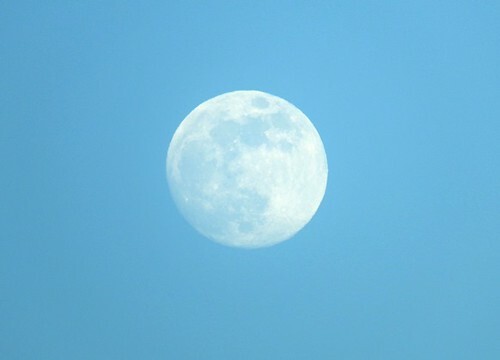 Another great photo, Alf- it was cloudy here so didn't get to see it full this month. Just discovered my camera was still on Winter Time - forgot to change it - so it was 3:00am. See - knew I wasn't an insomniac!